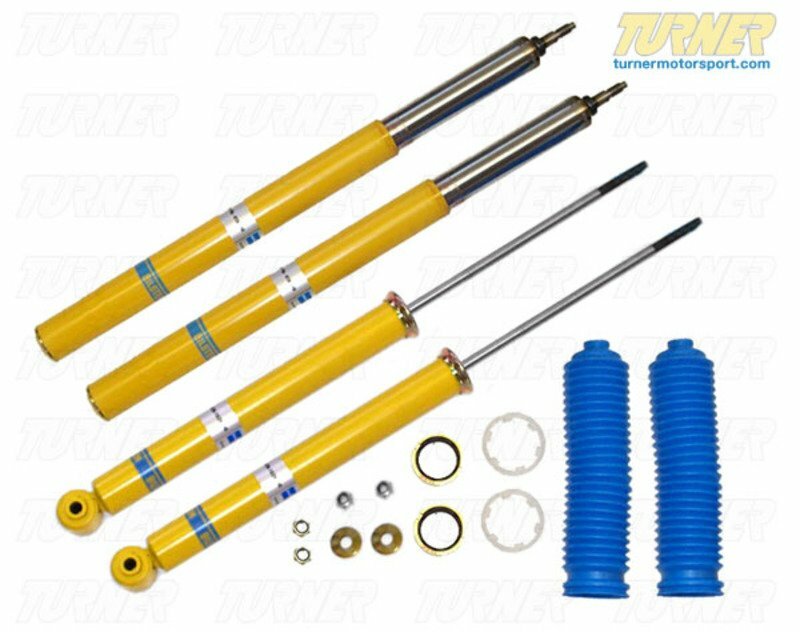 Adding this sport spring/shock set for the E30 M3 will lower the stance and reduce bodyroll in the corners. Even with it's race-inspired suspension the M3 can use a little firming up and less bodyroll when cornering. With the lowered ride height and stiffer spring rates this E30 suspension package will make the M3 more fun to drive and faster through the turns. 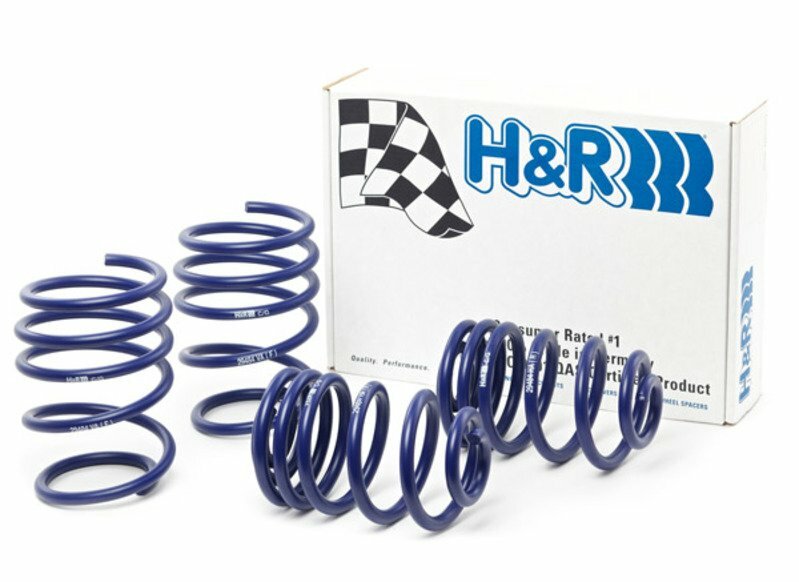 H&R Sport springs lower the ride height by 1.0" in front and 0.75" in the rear and stiffens the spring rate. Both combine to lower the car's center of gravity and reduce the amount of bodyroll in corners. The springs are progressive rate so their initial stiffness is actually very compliant and it becomes stiffer as the spring is compressed. This is great for street cars that see bumps and potholes where suspension compliance is key. Overall, they are about 25% stiffer than the stock original springs.